News ► KINGDOM HEARTS 358/2 Days Vol.2 Manga Cover Revealed! Yen Press has been on the ball when it comes to releasing the KINGDOM HEARTS manga series and its artbook to its North American audience. Just a few weeks ago, Shiro Amano: The Artwork of Kingdom Hearts was released which contains 112-pages of color and black & white illustrations that is sure to be a treat for all fans of the series. The first volume of KINGDOM HEARTS 358/2 Days highlighting the start of Roxas' year as a member of the Organization XIII will be released by Yen Press next week on Tuesday, so everybody should get their wallets ready to pick up a copy. Fans won't have to wait long for the next volume of KINGDOM HEARTS 358/2 Days which releases January 21st 2014. Check out the cover featuring Xion & the Organization XIII Moogle along with a summary and information where to purchase the second volume of the manga below. Thanks to forum member Antiquity for the tip! Don't forget to pick up the rest of the KINGDOM HEARTS manga series from your local bookstore or online and let Yen Press know you want to see the novels translated! Follow us on Twitter, Facebook, & Tumblr for all of the latest news on KINGDOM HEARTS -HD 2.5 ReMIX- & KINGDOM HEARTS 3! 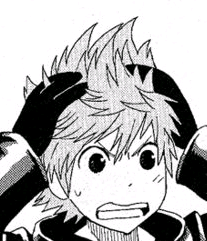 When Xion loses her Keyblade, it's Roxas's job to make sure no one finds out. As long as the two can go on missions together, no one will know that it's Roxas collecting all the hearts. But will Demyx blow their little secret? And when the Organization issues an order to Xion to capture an outsider masquerading as one of its members, who will come out on top in the ensuing battle?! Aw, Xion looks so cute on this. XD I really should save my money so I can buy all of the manga someday. Such cute illustrations. Glad you guys like the news! Here is the original Japanese cover for comparison! The cover looks very nice. I've already got volume 1 of Days preordered so i'd better preorder this one as well. But what's going to happen after this is released? Any news on future releases? YES!!! That is the cover I wanted them to make all along (on the front, not in the slip under the cover) so I'm ecstatic. ORGANIZATION MOOGLE SCREECH!!!!!! Aa, so this is where Spockanort's latest avatar came from. So cute! Ugh, I just have SO much love for this illustration, and I'm glad it will soon enough be in my possession. Also, wasn't the Organization Moogle a bit of a swindler? lol It looks as if he's desperately trying to hustle some ice cream. Kind of happy this isn't coming out until January. I've spent so much on the manga in such a short span of time already! Omg, same. I'm halfway through volume 2.
;A; I know! Between car expenses and internet bills and how fast they've been coming I still haven't been able to get a volume either. And don't forget, if you don't mind second-hand stuff, you can get the books for even lower a price. That's if you can handle buying a hands-me-down, although not all of those are of sub-standard quality. Hopefully by the time I can afford any their cheaper everywhere.